On Wednesday the BFS MS Boys Basketball Team defeated Friends Seminary 40-26 on the road. The team continued their winning ways. It is the second time this season that the team went on the road to Friends Seminary and came away with a another victory. The team was lead by eighth grader Kwesi S. who had 16 points and 17 grabbed rebounds. Kwesi leads the team in double-double this season. Fellow eighth grader Luca J. had a double double of his own with 11 points and 13 rebounds. And eighth grader Cailean M. finished with 8 points. Blue Pride!! The BFS Boys Varsity Basketball Team defeated St. Ann’s 71-35 in the lower gym. The team came away with the convincing non-league win over the local ACIS rival in front of their home fans. The Panthers started the game with a 23-6 run and never looked back. 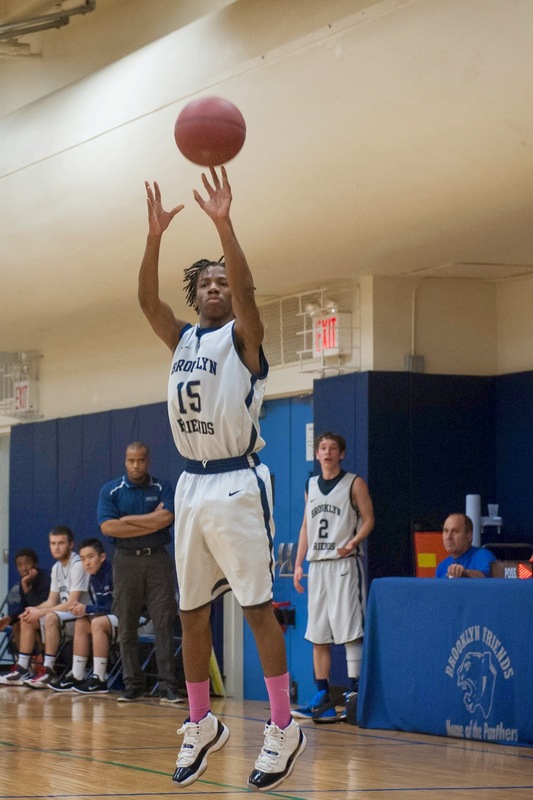 The Panthers were led by junior guard Quran D. who posted a triple double, scoring 21 points, dishing out 11 assists, grabbing 12 steals, and pulling down 5 rebounds. This was Quran’s second triple double of the season. Sophomores Brendan G. had 14 points and Phil C. scored 12 points and grabbed 8 rebounds. Senior Adam W. scored 9 points and 7 rebounds. Sophomore Charlie S. chipped in with 5 points, 13 rebounds, and 4 assists. Juniors Chris B. scored 4 points, grabbed 10 rebounds and Tyler V. chipped in with 5 points. BFS improved its overall overall record to 12-6. BFS will take its 9-1 ISAL league record against Churchill who is also 9-1 in the league as the teams battle for first place this Friday. Blue Pride!! On Thursday the BFS MS Girls Basketball Team defeated MMFS 22-17 in the lower gym. It was another tough game versus a tough opponent. BFS got off to a slow start, but then picked up a little momentum that seemed to carry them for the rest of the game. The Panthers were in control but MMFS mounted a late comeback that BFS was fortunate to withstand under eighth grader Devon O’s leadership. Everyone contributed to the teams victory. Blue Pride!! The BFS Girls Varsity Basketball Team defeated FASNY 34-22 in the lower gym. The game tipped off at 5:15pm which was a late game for BFS. The team only suited up 8 players (7 to start the game). What a game. BFS needed this one. After a couple recent losses BFS needed to get back to their winning ways. Once again the team started slowly on the offensive end. They took good shots but they weren’t falling. FASNY knocked down some nice baseline jumpers from the right side to keep them on top early. Once again BFS got out hustled and out rebounded. All the loose balls seems to go our opponents way. But one thing BFS is consistent with is their defense. The team does a very good job playing solid defense. Even though we did not have all of our players the ones we did have stepped it up and sucked it up as they continued to work, move their feet, and stay in front of their opponent. BFS found themselves down 8-6 after one quarter of play and down 13-11 at the half. We needed to step it up and defend our home court. BFS continued to work and play solid defense. The team cut their opponents lead to just one point going into the final quarter of play. The final quarter proved to be the tipping point as BFS turned it up a notch and got some timely scoring from sophomore guard Silvely A. who at one point was “in the zone”. She finished the quarter with nine points including a sweet three pointer from deep at the top of the key. Junior guard Sierra V. applied her typical stifling defense and she was helped out by her teammates. Senior forward Julia B. was all over the place playing solid D, grabbing boards, bringing up the ball, and attacking on offense (7 points). Junior forward Charlotte S. was under the weather but as usual played a very solid game on both ends of the court including scoring two key baskets (4 points) with one coming during the fourth quarter run. Sophomore guard Ivy L. worked extremely hard on defense and gave us 6 great points during the first half. Senior guard Maret S-M found her groove as the game progressed and finished with 4 points and numerous steals and assists. 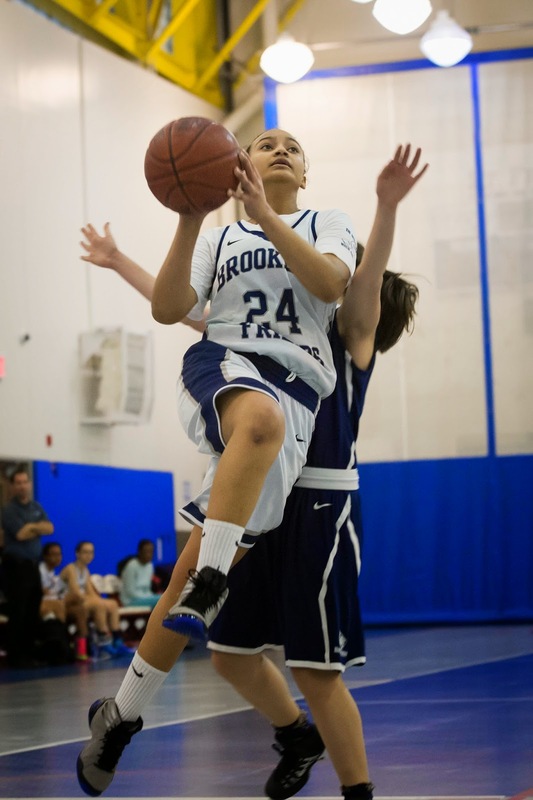 Sophomore guards Fatima E-B and Monet M. continue to develop. Fatima was given the chance to start the second half and she learned from her experience. All and all it was a real team effort and a griity win for the BFS Girls Varsity Basketball Team as they battled league opponent FASNY and their 10 seniors. The team improved their overall record to 10-7, while adding to their very impressive ISAL league total of 9-1 (second place). 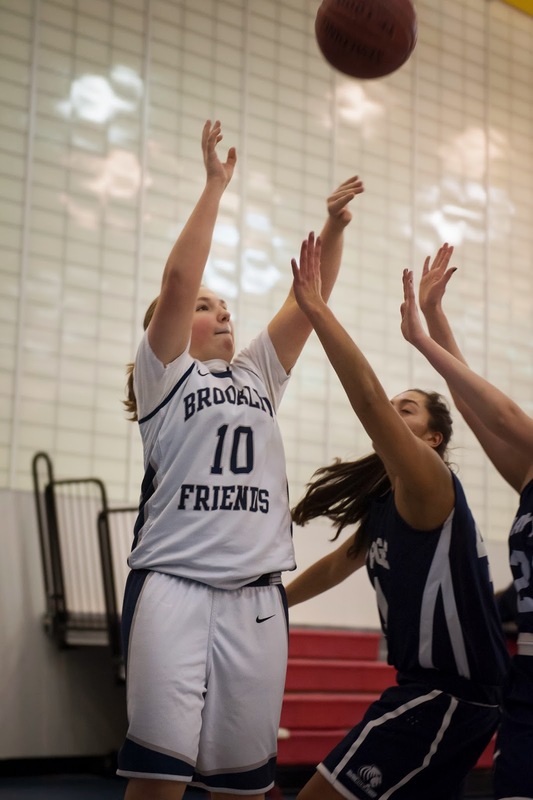 On Friday the BFS Girls Varsity Basketball Team defeated Dwight. Our opponent ended up forfeiting the game due to lack of players. With the victory BFS secured the third seed in the ACIS Playoffs which will take place on Tuesday February 3rd. The team will rest up this weekend before beginning their playoff run in the ACIS and completed there ISAL League Schedule. Blue Pride! !